How to find the best translation service to translate your work is not an easy question because it much depends on the requirements of the customers. However you can totally believe in translation services of Saigon translation Global due to the perfect services our company brings to customers though whoever they are, individuals, firms and even government agencies. But Saigon translation Global can satisfy all of your needs related to translation services in differences areas of your works, such as: legal documents, private papers, business contracts, conferences, workshop, etc. finding the best translation services is very important because that can directly affect the results of work. That lacking understanding in working process can cause big problems and if you meet an unprofessional translation company that can ruin your work. To master a different language need a lot of time to learn and practice so translation staffs of Saigon translation Global all have many years experiences and they also have chance to take part in many different projects as well as various areas to build up their knowledge and experiences. For all reasons above, how to find the best translation service to translate your work becomes more and more easy. 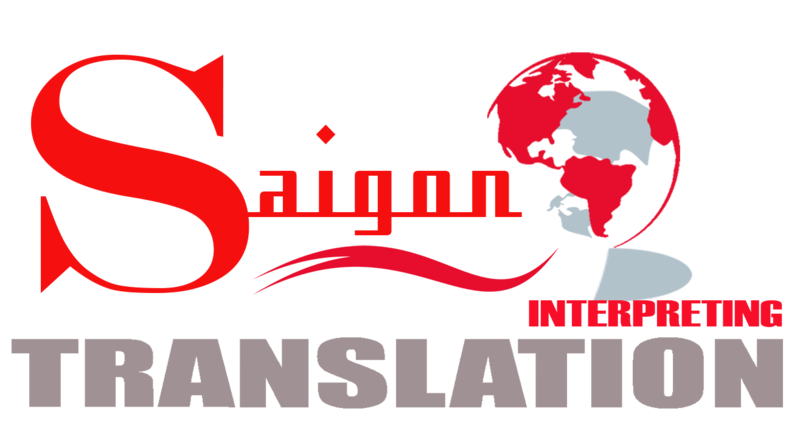 Saigon translation Global commits to provide customers with the perfect translation services to support them in their work.